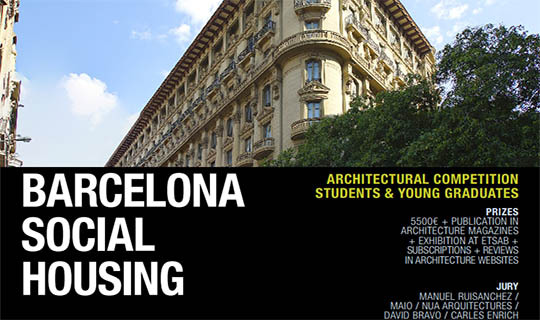 ARCHmedium we invite students and young architects to explore new typologies about social housing in a consolidated environment in the center of Barcelona. We propose the transformation of an existing office building from the 20th century to social housing. The existing 18.000m2 will house 160 homes and small scale businesses. The objective of the competition is to guarantee the social function of housing through rethinking the housing space. Proposals must explore new typologies and urban ways to respond to the program and improve the scope of intervention. The intervention must meet the highest environmental criteria, seeking a low energy consumption. The objective of the competition is to guarantee the social function of housing through rethinking the housing space. Proposals must explore new typologies and urban ways to respond to the program and improve the scope of intervention. The intervention must meet the highest environmental criteria, seeking a low energy consumption. We propose the transformation of an office building located in Via Laietana 8-10 to public rental housing. The building has a Ground Floor + 7 floors and a Roof Top Terrace. Without taking into consideration the interior patios and stairs, the building has 10.000m2 to intervene. The competition establishes the adaption of 1500 m2 of commerce in the ground floor and 160 houses in the upper floors. The houses contemplate different sizes, users and typologies that will cover the whole of the building. The building has 2 basement floors that will not be taken into account for the competition. The program of the Roof Top Terrace is left free for participants to propose what they think is adequate. Students Category This category will accept architecture and related fields undergraduate students who can prove their student status on the day the competition launches with some official document (student ID or enrolment papers). Graduate, masters, and PhD students who are currently enrolled in some official course can also participate, but only if they obtained their undergraduate degree less than 3 years ago. The 3 year rule applies to graduate, masters and PhD students who are CURRENTLY ENROLLED only! Young Architects This category will accept young professional architects who graduated less than 10 years ago (according to their degree expedition date) can also join the competition and opt to win the “young gradautes” prize which will be awarded separately from the student prizes. In both categories teams can be formed by just one member or up to six (6). Members of a team don’t necessarily have to be students at the same university or live in the same country. It is not necessary that all members of a team are architecture specialists. Having a photographer, artist, philosopher, etc. on a team can help to see the project in a new way, thus enriching the final result. However, it is recommended that at least one member of the team has some experience in architecture. 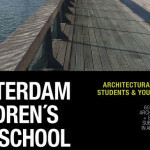 The teams may also be formed by both students and young architects. The registration fee is paid per team, regardless of how many members form it. – Considered for publication in an architecture magazine. – One-year subscription to an architecture magazine. – Reviews in digital magazines and several architecture blogs. – 1 year subscription to ARCHcase Premium 10 Honorable mentions – Considered for publication in an architecture magazine. – 1 year subscription to ARCHcase Premium. 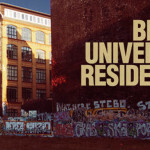 – Considered for publication in an architecture magazine. – One-year subscription to an architecture magazine. – 1 year subscription to ARCHcase Premium 3 Honorable mentions – Considered for publication in an architecture magazine.